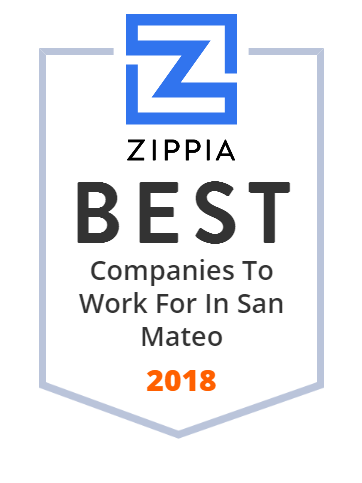 We hand-curated a list of the best companies to work for headquartered in and around San Mateo, CA using data on salaries, company financial health, and employee diversity. GoPro, Inc. is an American technology company founded in 2002 by Nick Woodman. Serena Software, Inc., an application lifecycle management vendor, provides orchestrated information technology (IT) solutions for the Global 2000 companies. It offers Serena Deployment Automation products that support delivery and production deployments; Serena Release Manager that automate release process for speed and control; Serena Business Manager, an IT process automation platform; and Serena Dimensions CM, a solution that enables companies to streamline and automate their development practices. It offers ChangeMan ZMF that integrates the mainframe software lifecycle; ChangeMan ZMF Client Pack that includes ChangeMan ZDD (Web access to ChangeMan ZMF) and the new ChangeMan ZMF for eclipse client interface for developing and maintaining mainframe applications software; and ChangeMan SSM, a solution that detects, tracks, and stores changes to the system for audit purposes. It offers Comparex, a mainframe comparison tool that supports data, text, and directory files in a single product; StarTool, a set of mainframe developer tools that improves IT operations and application redevelopment productivity; and Dimensions z/OS that extends the power of Dimensions CM to the mainframe. It offers Serena On Demand that allows users to leverage the functionality available in the process-based solutions for on premises deployments through the cloud. Its on demand solution includes Serena Service Manager, an IT service management solution that helps user to speed issue resolution; and Serena Request Center, which allows customers to browse an array of IT and business services. It offers Serena Dimensions RM, a requirements management solution; Serena PVCS Pro, a change and configuration management solution; and Serena Prototype Composer that helps users to simulate how an application will function without writing codes. It offers product training and education, and professional and support services. The company was founded in 1980 and is based in San Mateo, California. As of May 2, 2016, Serena Software, Inc. operates as a subsidiary of Micro Focus International plc. CyberSource is an E-commerce credit card payment system management company. By providing a single data interface, UNIFI is solving the ubiquitous data acquisition and integration problem for enterprises. Our risk adjustment solution automates CMS HCC coding operations, optimizes revenue capture, and ensures compliance for MA, ACA, MC and ACO entities. Zuora is an enterprise software company that creates and provides software for businesses to launch and manage their subscription-based services.